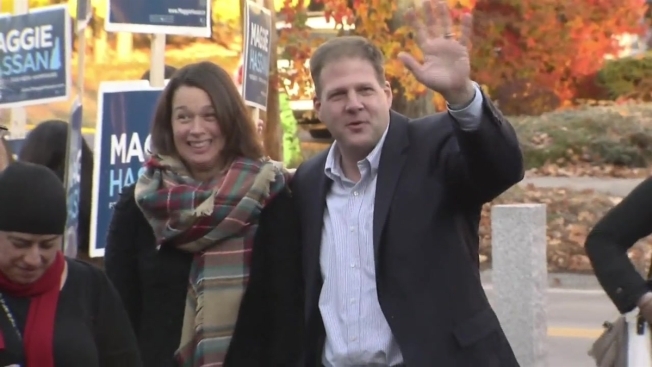 Republican candidate Chris Sununu traveled across the Granite State Monday, trying to reach as many voters as possible. Sununu, wrapped up Election Eve greeting voters at the Puritan Backroom Restaurant in Manchester, New Hampshire. The CEO of the Waterville Valley Ski Resort, who also sits on the New Hampshire Executive Council, is trying to seal the deal with voters in a neck-and-neck race. Democrat Colin Van Ostern and Republican Chris Sununu hit the campaign trail on Monday to make their final pitches to New Hampshire voters. They are both vying to replace Maggie Hassan as governor. Sununu, who’s brother served in the US House of Representatives and the US Senate, says he’ll never run for either, and is focused on getting things done in the Granite State. “We have a clear choice, in this state, do we want to keep going down the path of big Washington programs that really don’t have our interest, or do we want to elect a governor that understands that when New Hampshire people do it New Hampshire’s way, we just do it better than everybody else,” said Sununu. While some Republicans have backed away from the top of the ticket, Sununu has stood with Donald Trump. Democrat Colin Van Ostern, meanwhile, joined Barack Obama at University of New Hampshire on Monday as the president made the case for Clinton, and for Democrats to hold onto the governor's office. Van Ostern says he plans to campaign until the polls close. He is confident Democrats will be casting their votes. Democrat Colin Van Ostern and Republican Chris Sununu are making their cases to replace Maggie Hassan as New Hampshire's governor. Volunteers have been relentless, reaching every last potential voter they can. "You have to vote if you don’t vote you don’t have a voice," said Dakota Lustick, of Nashua. Legendary singer James Taylor and his wife Kim were on the campaign trail in Nashua to explain why they believe in voting blue. "Democrats believe in government — a positive force that can make a difference in peoeple’s lives," Taylor said. Van Ostern got some help from his 6-year-old son Peter who went door to door over the weekend with his classmates. "It took them 3 hours to finish it but they had a lot of fun," Van Ostern said. And on Monday night, even Van Ostern’s mom was even doing her part. 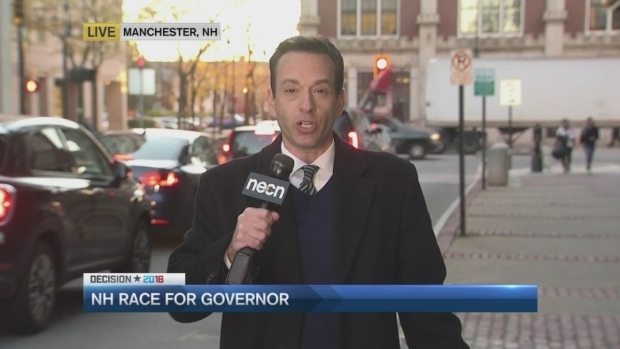 "I ask on Tuesday if folks want a governor who will look out for New Hampshire politics aside and stand up for them I ask for their vote for governor," Van Ostern said. Van Ostern cast his ballot Tuesday morning in at the Boys and Girls Club in Concord. Sununu voted in Newfield.